About us | Midwest Mudjacking, Inc.
Over 20 years of Engineered Waterproofing, Concrete & Foundation Lifting Systems! Owner Patrick Penton began in 1993, Specializing in Foundation Raising with AB Chance and Atlas Systems along with Basement Waterproofing, and Concrete Leveling. With thorough knowledge in all divisions. Midwest Mudjacking Inc. was founded in 1997. Our great reputation has been established from our professional experts in foundation stabilization, interior water proofing, mudjacking, and more. Permanent solutions and attention to detail is what makes us shine! 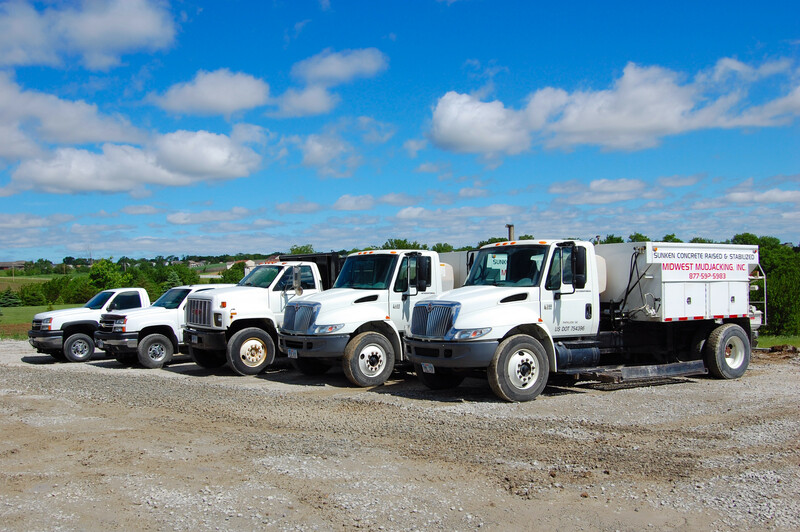 A leader in the industry, Midwest Mudjacking Inc. offers the quickest, safest, most affordable solution for your concrete needs, inside and out! Offering a broad range of knowledge, expertise, and integrity. We provide amazing results! Midwest Mudjacking Inc. since has thousands of satisfied residential and commercial clients. More than any other Omaha area mudjacking companies in Nebraska / Iowa. Absolutely no one can match our honest, experienced, affordable service! Saving customers hundreds or thousands of dollars with our perfected engineered lifting techniques. We continue to lead an award winning staff, specializing in precise concrete leveling, structural foundation repair, interior basement water proofing, hi performance floor coatings, quality concrete caulking, and snow and ice management services. Midwest Mudjacking Inc.
is greater Omaha’s most preferred, trusted slabjacking contractor! © 1997-2019 Midwest Mudjacking, Inc.